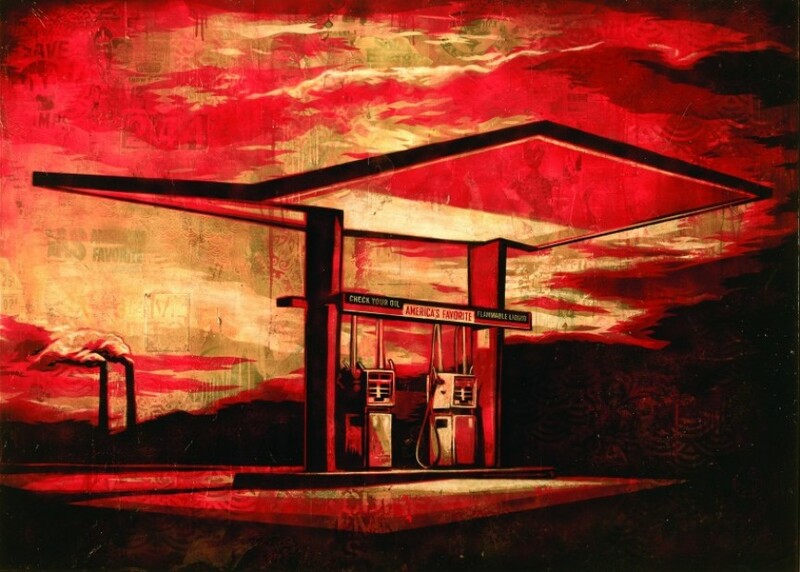 The Halsey Institute of Contemporary Art of Charleston announced a spectacular dual exhibition by two of the iconic figures in modern and contemporary American art. 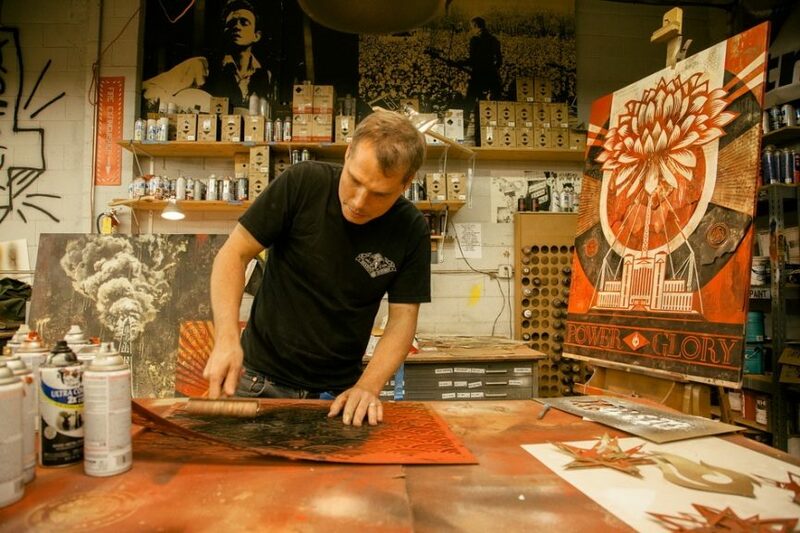 The street art luminary and the living legend will exhibit their prints in a show entitled The Insistent Image: Recurrent Motifs on the Art of Shepard Fairey and Jasper Johns. 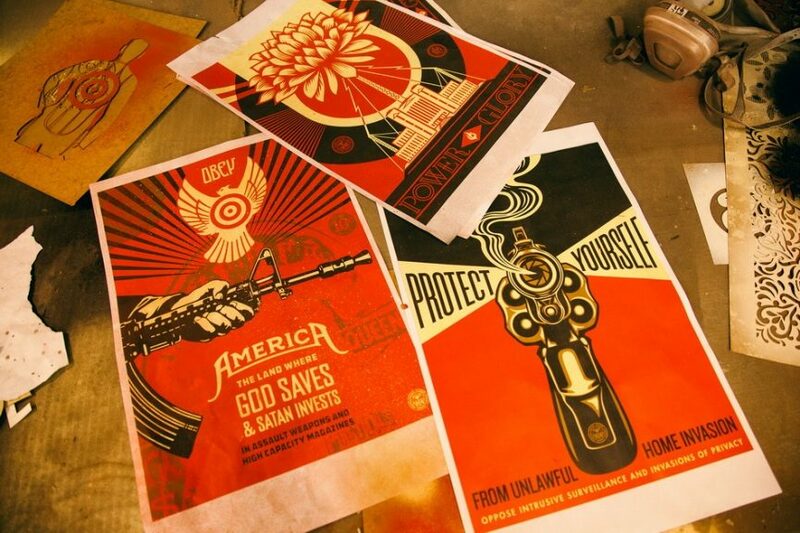 This unique display will present new pieces by Obey mastermind and sixteen prints by the iconic, Jasper Johns. 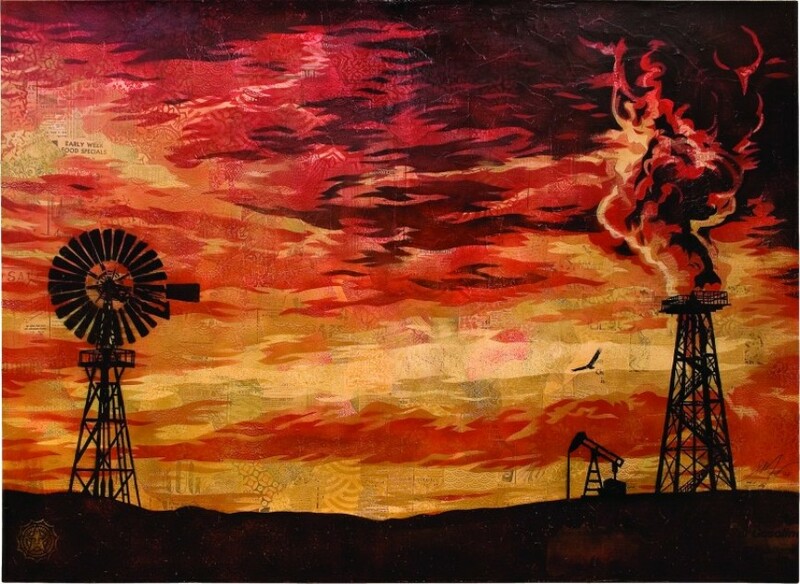 Both artist will be exhibited in separate room, and the Halsey Institute denounced any comparative character of the show. However, the theme binds the into one spectrum and it will be hard not to examine the similarities and the discrepancies between the two unique and influential styles. This intriguing exhibition opening is announced for May 22, and it is scheduled to run through July 12, 2014. 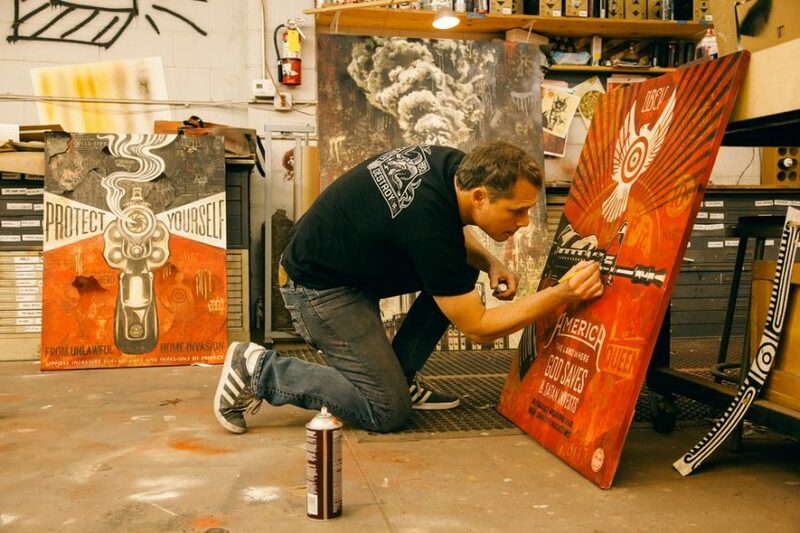 Shepard Fairey is the native of Charleston and this grand show will be the first one he will have in his hometown. He is currently in the studio, preparing all new body of work created as a continuation of the Power & Glory series. 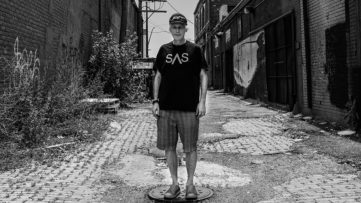 His recognizable style is packed with Americana emblems, exploring the phenomenon of power and celebrity. 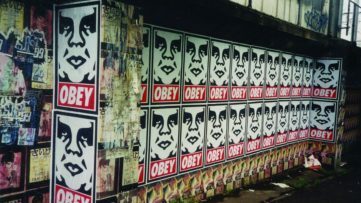 Intense slogans and unmistakable symbols strike from Fairey’s artwork, igniting the rebellious flame within the observer, questioning the positive and the negative aspects of the American life. 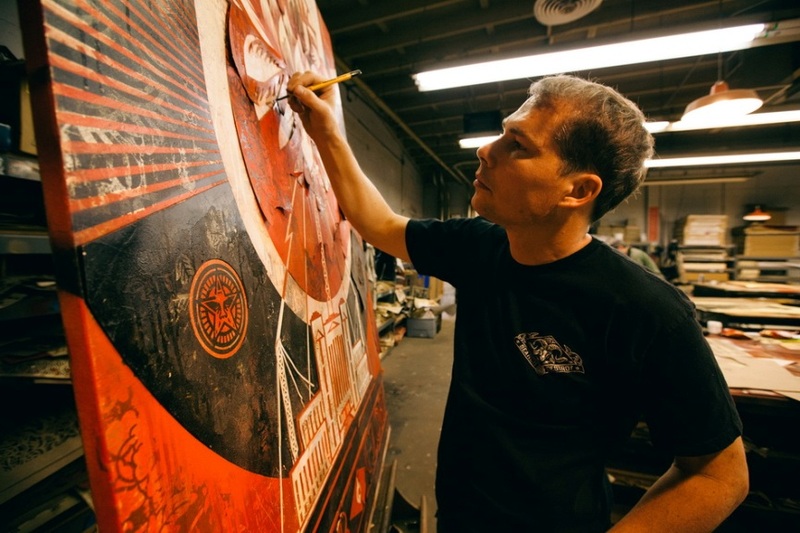 Concurrently with the show, Shepard Fairey will be painting a series of mural around Charleston, stylistically related to the show. 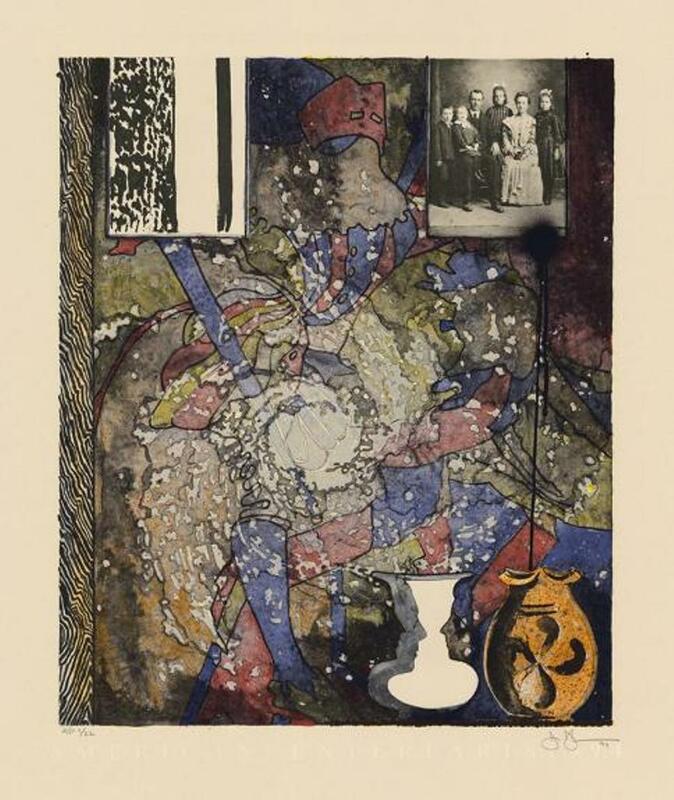 Every art lover knows the name and work of Jasper Johns well. His appropriated and redefined flag paintings have impacted the turn in the representational painting around the mid 20th century. 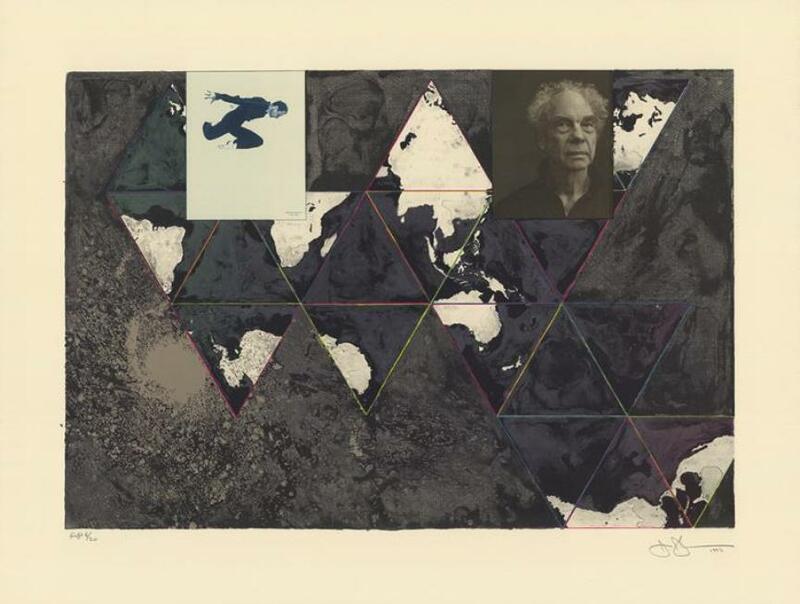 Still active today, at the age of 83, Johns is a contemporary artist as much as a legend. 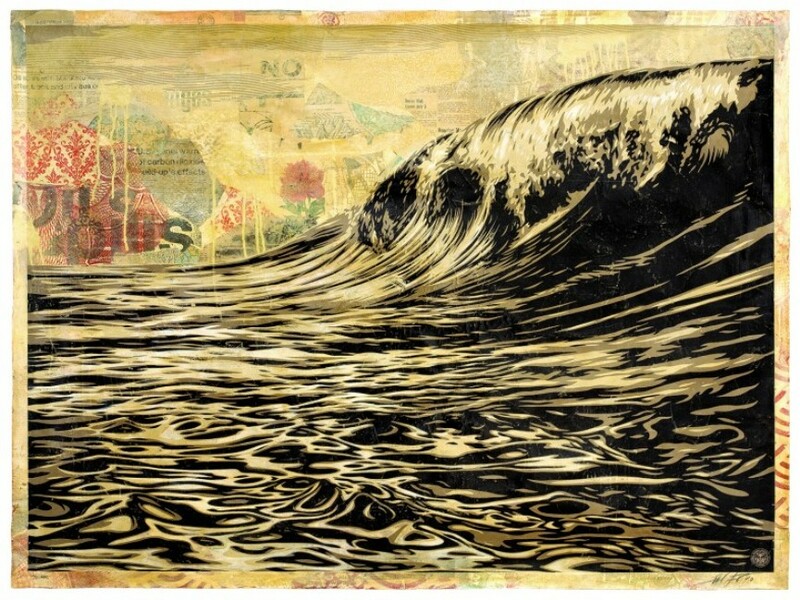 The Insistent Image will showcase sixteen of his prints, created in collaboration with virtuous printmaker Bill Goldston from Universal Limited Art Editions in New York. 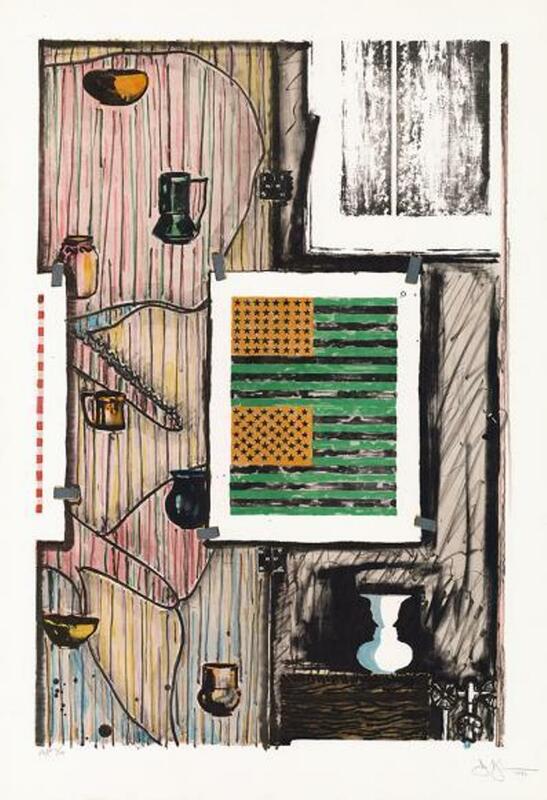 Jasper Johns prints have come to existence over the past three decades of the master’s work, between 1982 and 2012. These prints are characteristic of Johns, being filled with stars, flags, targets, and emblems, and portions taken over from the paintings Picasso, Holbein, da Vinci and others. All the prints are borrowed from the printmaking studio specially for this exhibit. 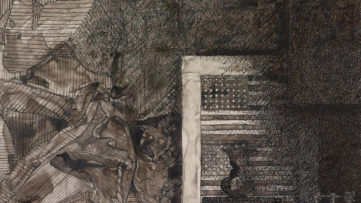 Another curiosity is that Jasper Johns had a long lasting friendship with William Halsey, the artist after which the Halsey Institute was titled. The conjoining idea of The Insistent Image exhibition is to present how two distinct creatives appropriated and re-imagined generally known symbols in a similar way, achieving separately stunning communicational results. 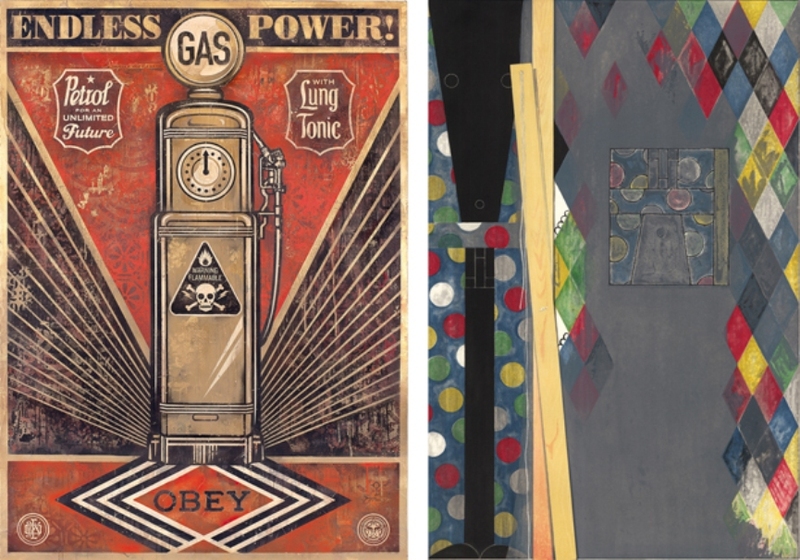 Both Shepard Fairey and Jasper Johns reuse graphics found in the most obvious or most known of places, and repeat those elements in their work assigning them a new visual value. As they change the accepted meaning of some images, they elevate the significance of others, transforming the mundane pictures into icons. 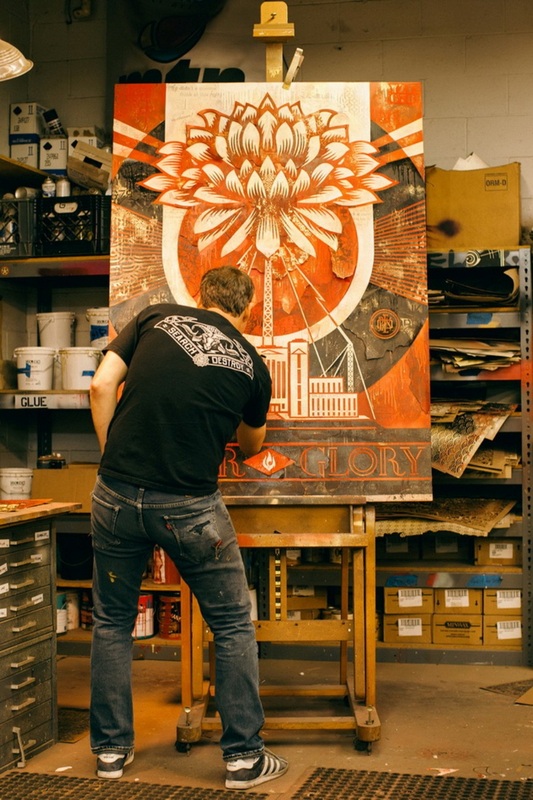 Comprehensive and inspirational, the Insistent Image show will be followed by a 116 page catalog of Shepard Fairey’s work from the show, public works and the pertinent documentation.